Peter Connelly is one of the best-known names on the Tomb Raider musical stage. 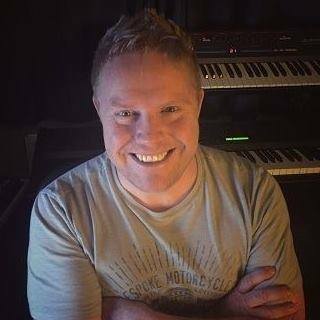 The British-born musician and audio designer composed the scores for the latter three Core Design era games – Tomb Raider: The Last Revelation, Tomb Raider: Chronicles, and the fully orchestrated Tomb Raider: The Angel of Darkness. (The latter together with Martin Iveson.) He has also worked with studios such as Ubisoft, Eutechnyx, and most recently Slightly Mad Studios, on such well-known titles like Driver: San Francisco, South Park: The Fractured but Whole, Watchdogs, and Blackguards 2. Survivor Reborn recently had the opportunity to catch up with Peter to discuss his early influences, what drove him into audio design for videogames, his current projects and hopes for the future. Peter Connelly, Geordie and proud. SR: Hello Peter, and thanks for the chance to chat with you today. We’re eager to learn about your experiences with Tomb Raider – and more about your current work on the mysterious Dark Angel project – but first let’s talk about what started your love of music. In 2014, for VGMO magazine, you mentioned that you graduated Newcastle College with an OND and HND in Music Technology. But how did you decide that sound design was going to be your career of choice? Has music always been a big part of your life? PC: In all honesty, I naturally fell into Sound Design. When I first started out in the games industry, in 1995, it was with the intention of being a musician/composer but, back then, part of the job was to create sound effects, too. Nowadays, this has been split into many disciplines, but I enjoy doing both and, as of right now, I can’t say if I prefer Music Production or Sound Design… For me, they go hand in hand, especially in videogame production. I’ve always been fascinated by music and instruments. When I was a child, I played many instruments but focused, mainly, on cello, guitar and piano. When I was learning the cello, I later became part of an orchestra which played around the North East (of England) and we used to play classics such as “Ai No Corrida” by Quincey Jones and “Street Life” by Randy Crawford. Music runs in my family: my father used to play in a band and knew his music (it was him that got me into Burt Bacharach, probably my main inspiration in becoming a composer/musician), and my sister played bass. SR: You started composing and sound design in the mid-90s with various companies before you started work at Core Design. How do you think this prepared you for your work on Tomb Raider? PC: The first 3 years gave me what I needed to become apt – yet still junior – with music production, sound design and my overall style. Some of the music I did for a video game just before I started working at Core Design really helped (I used this as part of my showreel), as it was cinematic using an orchestral mock-up set on a Roland JX-1080 synthesiser (which, incidentally, Nathan McCree was also using to write the music to Tomb Raider at that time). SR: You’re credited for Additional Sound Design for Tomb Raider III, but at least some of what you designed/composed ended up in TR4. Was there anything more you wished you could have done with these pre-AoD scores? PC: The bottom line is, this music was written with the intent of a real orchestra performing it. I got meticulous with the setup, placing all the instruments (mostly from the JV synth, mentioned above) as they would be set out in a symphony orchestra. Although I appreciate what I achieved on TR4 and TR5, having it “properly” orchestrated, arranged and performed by an orchestra is something that has stuck with me ever since, particularly after Angel of Darkness. The difference between using a sample setup and a live setup is huge: just compare the motifs from TR4/5 to TR6 (which is pretty much a reprise of the synthetic compositions). I love what Martin and I did with Angel of Darkness but – with what we learnt from this one-off experience – we could do so much if we were to revisit our work and utilise the right team. Peter Connelly at Abbey Road Studios, London. Image courtesy of Tomb of Ash. SR: The Angel of Darkness on the PS2 was a huge upgrade in terms of graphical and audio scope: a landmark in the Tomb Raider franchise in more ways than one! How did this affect your decision to bring in the LSO and record an actual, live orchestra at Abbey Road instead of continuing with the same tools you’d previously used in videogames? PC: As Angel of Darkness was planned for release on a shiny new console (the PS2), all the expectations were raised to use better graphics, better gameplay, better animations, etc. It was logical we did the same with the audio. 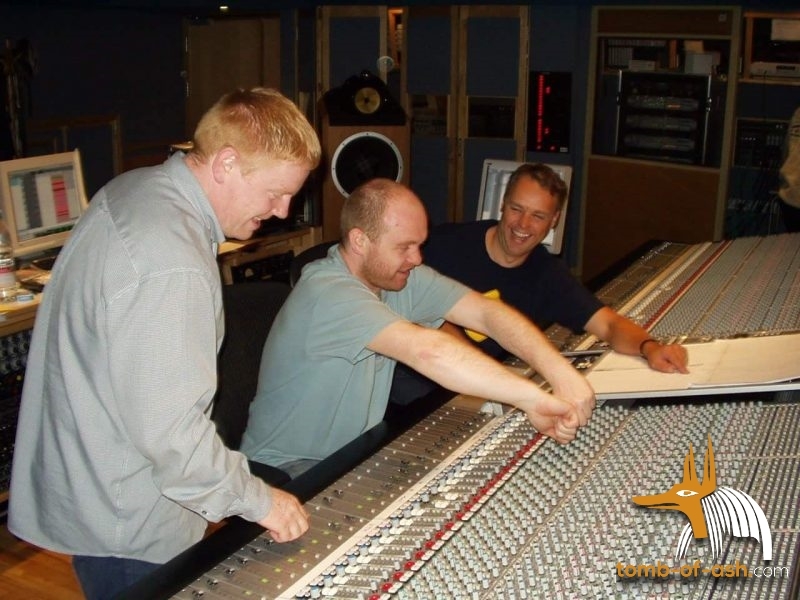 As Tomb Raider music had always written with a real orchestra in mind, we (Martin and I) felt it was necessary to present our thoughts to Jeremy Heath-Smith quite early on about the possibility of taking this step for AoD. We compiled a list, starting with what we considered the best orchestra and best studio at the top, and went down from there. Thankfully, Jeremy went with our first choices: Abbey Road and the London Symphony Orchestra. This was PS2; it was cutting edge, expectations were high, so it really made sense that we invested in the music, too. Even though AoD was heavily critiqued, it’s one title in the series that always sticks in people’s heads. Although it had its flaws (isn’t it such a shame, back then, we were unable to release patches as EVERYONE does now? ), it was a superb game through and through; and, as a bonus, the music was incredibly well received. I’ll be honest: I couldn’t bring myself to listen to the music from AoD for quite some time after it was released; there were loads of issues with the orchestrations that only we’d know (as composers). There’s also loads of stuff we would love to change (from what we’ve learned since), so an opportunity to revisit these OST’s, 15 to (almost!) 20 years on – with top choice personnel, with what we know now – would bring this to a standard that would far outweigh the quality of the original releases. Jill De Jong pays a visit to one of the TR: AoD Abbey Road recording sessions. Image courtesy of Tomb of Ash. SR: What would you say are your stand-out memories of working on Tomb Raider? PC: I loved how relaxed Core Design was. If we got the work done we could get away with murder, but we did work long hours over long periods of time and, although productivity was super high, I never felt overwhelmed or pressured in reaching targets and deadlines, or simply cracking on with what needed to be done. The staff at Core Design were like family; everyone got on well with one another which is quite amazing considering the nature of our business! Having my own room, near the back door and kitchen, I’d often get other employees coming in to have a look or have some banter, e.g. Murti and I used to chat for hours… he is such a lovely bloke and it was quite painful to see him leave Core Design. SR: After you left Core Design, you worked for several other gaming companies including Eutechnyx, Inspired Gaming, and Daedalic on titles like the videogame spin-off from The Fast and The Furious, and Blackguards 2. What was it like to make the transition to these studios and titles after your experience at Core? PC: I moved straight from Core to Eutechnyx which, although I met some great people, was a completely different environment to any other company I’d worked with before (or since). I take my hat off to them for achieving what they’ve achieved but, all in all, it wasn’t a place I enjoyed working or saw myself working long-term. HOWEVER, this gave me the kick up the arse to go freelance – something I had considered for quite some time. I’ve owned my own business for about 10 years now and there’s no looking back. SR: More recently, you’ve worked at Ubisoft on a variety of very successful titles – not least Watch Dogs, Assassins Creed Identity, Driver: San Francisco, South Park: The Fractured but Whole and, The Crew. What did your work entail on these titles? PC: I worked either as a Senior Sound Designer or an Audio Lead, but under contractor terms, not as an employee. This meant that, depending on project, I ended up going out to various Ubisoft Studios including Ubisoft Reflections (Newcastle, UK), Ubisoft Montreal (Canada), Ivory Tower (Lyon, France) and Ubisoft Bluebyte (Dusseldorf, Germany). Each contract was as a “Sound Designer”, but I did end up producing a few music tracks for Watchdogs; I thought this was a remarkable opportunity since writing music for a AAA videogame hadn’t happened in such a long time (i.e. since AoD), so it was a great way to get back into that side of things. I also did some radio-jingle sound tracks for The Crew. Working for Ubisoft was fantastic and – for what started out as a 9-month contract, back in 2010 – I did well to work most of the next 8 years with them. SR: We’ve heard a rumour that you provided some… interesting feline sound effects for South Park…? SR: So, post-Ubisoft, you moved to Slightly Mad Studios, with your first named project being Project Cars 2. What can you tell us about your newest projects? PC: I’ve been a contractor with multiple Ubisoft studios since 2010 and worked on some amazing project working with some great people along the way. I landed on my feet with SMS and it is a great place to work; the quality of their output is second to none and, thankfully, unlike the Ubisoft contracts which were on-off-on-off, this contract is as long as either I or SMS want it to be. I came in just as they released Project Cars 2 so, apart from getting to grips with their tech and methods, soon after I got thrown into DLC which was a really good way to understand their pipeline. As far as other projects go, I can’t say, but no doubt they will be received well and be a huge success. 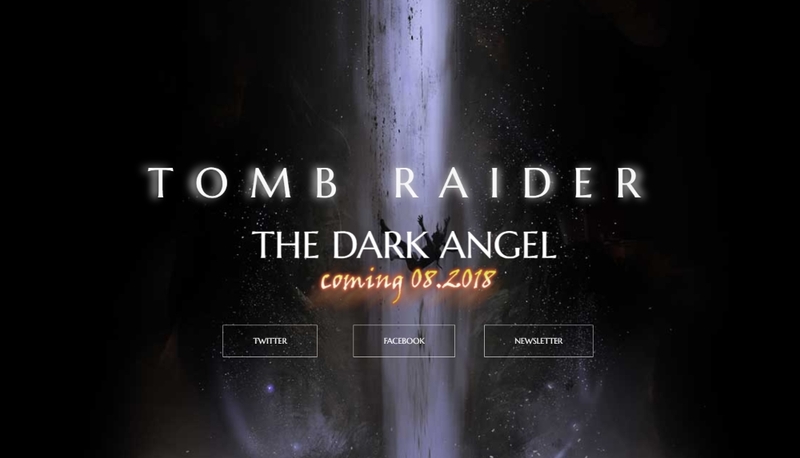 SR: Of course: the still-mysterious Tomb Raider: The Dark Angel – or #secretproject2, as it’s also known. The whole Tomb Raider community has been speculating like mad, knowing that Ash Kaprielov – the orchestrator of the last secret project, which turned out to be a grand reunion and QA panel of Core Design at Play Expo Manchester in 2016 – is working on it. Can you spill any beans for us ahead of the official launch announcement in August? PC: Oh, this so hurts. I must get, at least, a handful of private messages every other day asking what TDA is about and it kills me not to be able to spill the beans but… Hey ho, August isn’t that far away now, and I’ve done well so far! Unfortunately, I will have to keep gob shut ‘til then. SR: Peter, thanks very much for your time today. 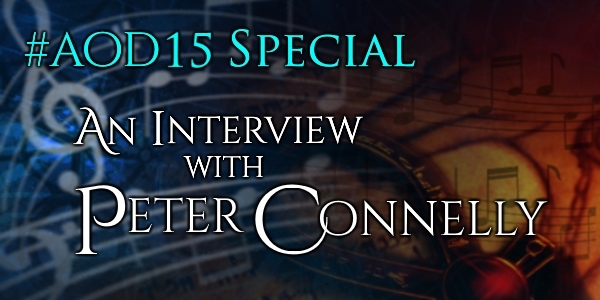 Listen and subscribe to Peter Connelly on SoundCloud. With thanks to Tomb of Ash. Interview conducted and edited by J. R. Milward. #AOD15 Special: An Interview with Peter Connelly by J. R. Milward / Survivor Reborn is licensed under a Creative Commons Attribution-NonCommercial-NoDerivatives 4.0 International License.